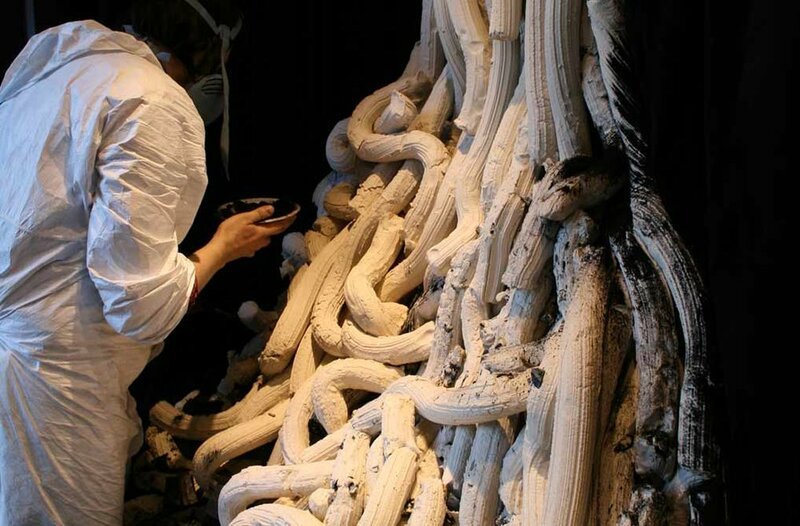 Kim Norton is trained in ceramics interested in pushing the scale of ceramics and creating experiential spaces. The project with Georg Jensen has enabled us the push porcelain into a different context and to challenge the perceptions of porcelain as a material often associated with perfection and fragility. 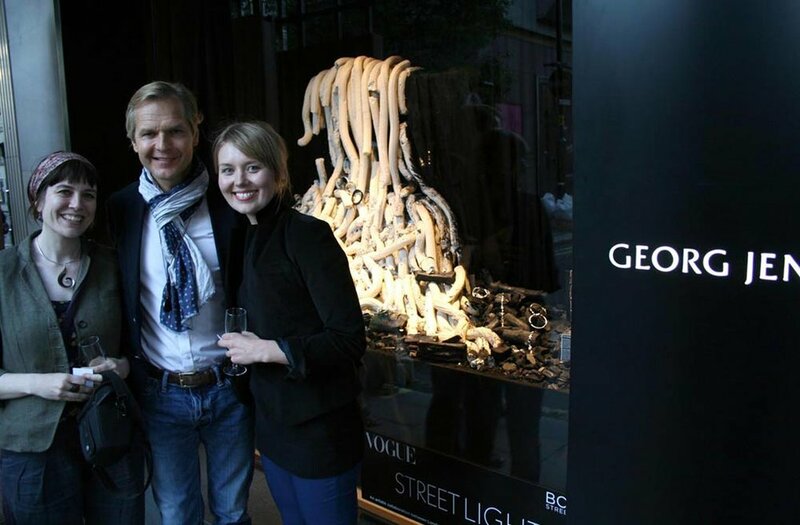 Carol Woolton the Jewellery Editor of Vogue invited Central Saint Martins and the Royal College of Art to redesign the Fine Jewellers windows in Bond Street. The aim of this collaborative project was to inject a new energy into the way fine jewellery is viewed and to allow these brands to be showcased through a different lens. This project was conceived to provide a platform to showcase the jewellery collection. The strong Scandinavian aesthetic has been our main consideration throughout but we also wanted to reference George Jensen’s early creative career by incorporating a material that is not usually associated with the brand today. Georg Jensen was educated in ceramics and sculpture we felt this would be an exciting opportunity to echo this period of creativity and design. Porcelain seemed to be the obvious choice resonating qualities of purity, perfection, clarity, quietness it has a rich identity rooted within tableware therefore we decided to use a manufacturing technique to push the material visually and physically in some cases to breaking point challenging the preconception of perfection and hinting at a rawness which sits against the preciousness of the pieces on display creating a strong visual through the use of monotones, repetition, scale and an element of ambiguity.